A Whirlpool dehumidifier can help improve conditions in damp to extremely damp areas of a home. It will improve the air quality and comfort of the home, as well as, help remove musty odors and reduce mold and mildew. It will also protect home furnishings from excessive moisture and rust. 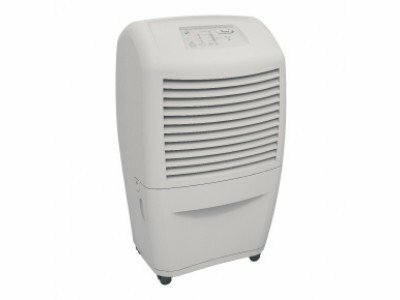 The AD35USS Ultra Low Temp Basement dehumidifier removes 35 pints of moisture per day in temperatures as low as 38*F. It is ideal for use in very damp areas such as bathrooms, laundry rooms, pool houses and summer homes.